I am driving underneath the Brooklyn Heights Promenade on the Brooklyn Queens Expressway. 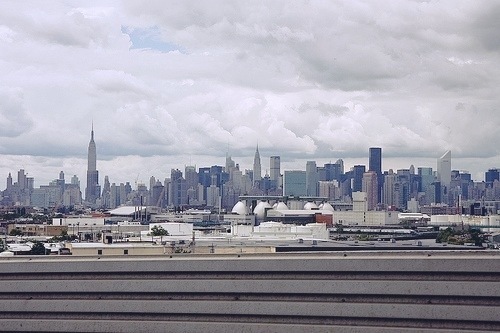 The entire Manhattan skyline spreads itself across my window. There are buildings on top of buildings, like subway riders during rush hour. Each tower fighting for some space. Trela and I, still in shock from our ten days of silence, are overwhelmed by the magnitude of the city. “Terrifying,” I say while switching lanes. I drive a few miles up, cross the Brooklyn Bridge, and travel straight into the bowels of the city that scares us both. Inside its narrow streets, nestled on all sides by buildings, we almost forget our own fears. It’s amazing how the strange can become normal. Later that night, when I’ve dropped Trela at the bus depot and returned back to my outer borough, my father emails me a picture he recently took. 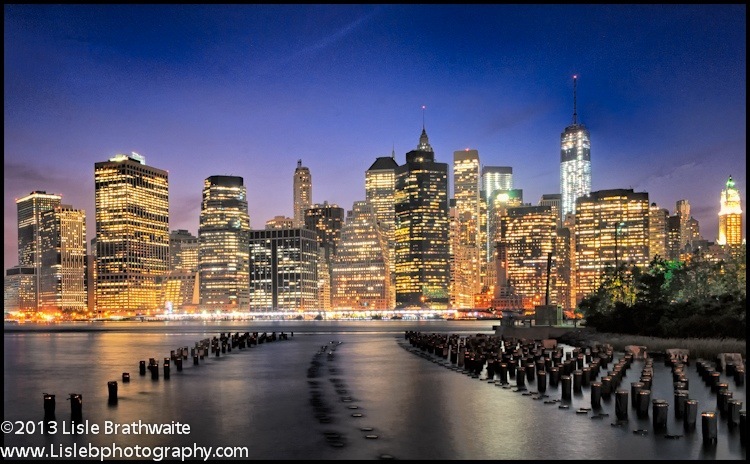 Twilight, the Manhattan skyline, bollards standing at attention in the water. The glowing city looks peaceful and serene.